The temple was built by Mr Ramchandra Ravjee Madave, Baba gave him one rupee and with that One rupee in 1919 the frist death anniversary was celebrated at Kudal, and on 1922 he built a temple for Baba at Kudal, 1954 he was also one of the persons in In staling statue of Baba at Shirdi, he was also a trustee of Shirdi Sansthan. This temple is in Kudal near Kudal railway station and Kudal is near to Goa 100kms from Goa In maharashtra and is on Mumbai Goa route also. The first Shirdi Saibaba temple is actually built in 1916 in Bhivpuri ( outskirts of Mumbai). Thats 2 years before saibaba’s Mahasamadhi and Kudal should be first saibaba temple built in India 2 years after Saibaba’s Mahasamadhi in 1922. Love the simplicity of the Kudal sai mandhir. Village Kavilkate is located about half a mile to the west of Kudal railway station in Sidhudurg district of Maharashtra state. In the village, there is a beautiful temple of Shri Sai Baba in Sai Nagar. The lovely statue of Sai Baba gives emmense pleasure to the eyes and the tranquil surroundings give calm peace of mind to the devotees. 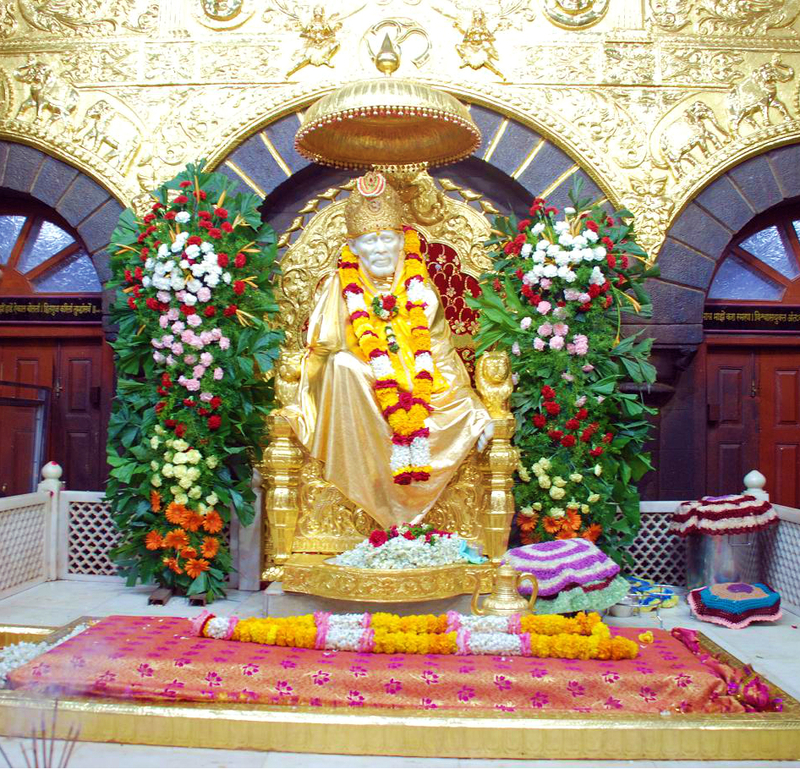 The creation of this temple is an ample evidence of Shri Sai. A resident of Kavilkate Late Ramchandra Madaye was an ardent Datta devotee.